Lunar New Year has returned to the Disneyland Resort to celebrate the Year of the Dog, now through February 18th. 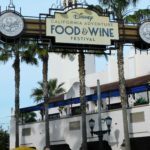 Many of the entertainment offerings that debuted last year have returned, in addition to a few new surprises and an expanded menu of limited time food offerings. 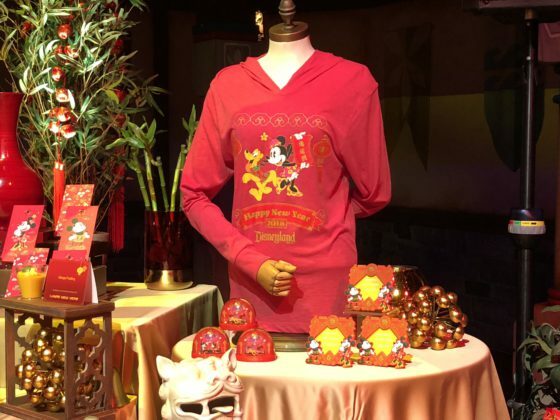 To experience Lunar New Year Disney-style, head to Disney California Adventure Park. The fun greets you almost instantly, with banners and park maps themed to the celebration leading up to the entrance. Mulan and Mushu have returned for character greeting experiences, and Pluto has an adorable purple outfit to celebrate his big year. 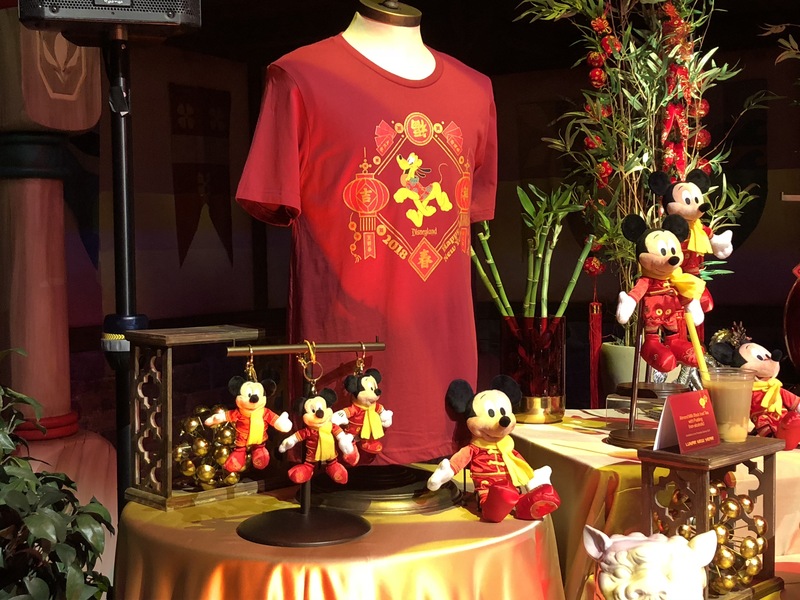 New this year, Mickey and Minnie Mouse also have red and gold outfits to help ring in the Lunar New Year. Mulan’s Lunar New Year Procession is back as well, with four shows per day in the Paradise Gardens are. 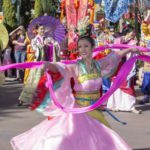 This dazzling show features bright colors and hypnotizing dances with fans and ribbons, in addition to Mulan and Mushu taking part in the celebration. 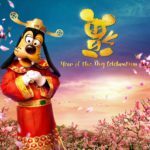 New to the show this year is Goofy in a god of good fortune costume, as well as live drummers. 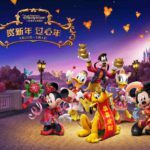 From Shanghai, China, Disneyland has invited the GuGu Drum Group to perform at Paradise Park. This 30-minute show features songs, stories, and high energy drum performances that are truly unique. The costumes for the female drummers are eye popping, with large quail feathers in their headdresses and their segment builds up to a dizzying rapid rhythm. The biggest, most powerful drum is saved for last. Get a front row spot if you want to feel your teeth rattle each time it’s used. A highlight reel is below, but you can watch the full performance here. Two performers have been invited to share the stage at the Paradise Garden Bandstand. I was able to experience Dat Nguyen, a blind Vietnamese singer who performs the guitar, lute, flute, and melodica. 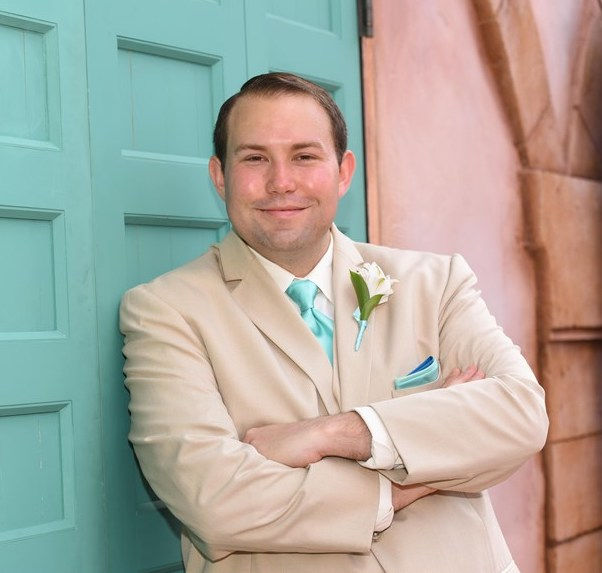 His set features traditional and original compositions and he is at the park on select days during the celebration. The other performer is Luna Lee, a Gayageum musician from Korea who performs contemporary covers and traditional pieces. Also in Paradise Gardens, Guests can participate in a few hands-on activities. They can make paper lanterns, add their wish to the Lucky Wishing Wall, and learn the art of Chinese calligraphy. There’s also a special section just for Annual Passholders, where they can receive a complimentary button, have access to their own Lucky Wishing Wall, and an exclusive Photo Pass photo spot. 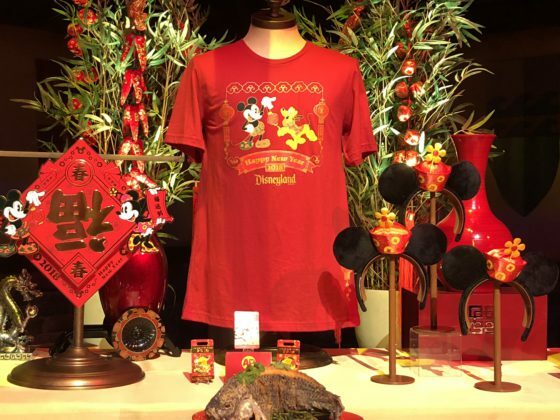 Another way the Lunar New Year celebration has changed for 2018 is the addition of more merchandise offerings. There are two off-the shelf t-shirts available (a unisex and womens cut) and an Annual Passholder exclusive shirt at select locations. Pins are a given, and there’s AP exclusives in that category as well. 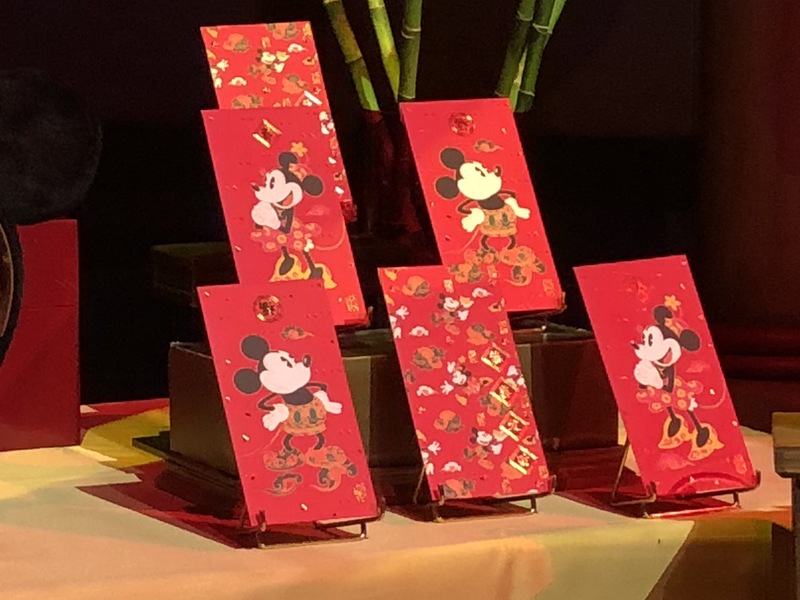 But the most unique items are paper decorations for your home and gift envelopes, all featuring Disney character artwork. There is also a Mickey plush in a red and gold outfit with a Shanghai Disneyland stamp on the bottom of his left foot. The Pluto shirt is currently the only item available on ShopDisney. There is also a preshow to World of Color that serves as a kiss goodnight to your day’s Lunar New Year fun. Hurry Home – A Lunar New Year Celebration tells the story of a young lantern celebrating the new year and includes Mushu and Mulan in this beautiful display of water, light, projection, and fireworks. Families will feel closer together as the young lantern returns home, cozying up to two bigger lanterns. 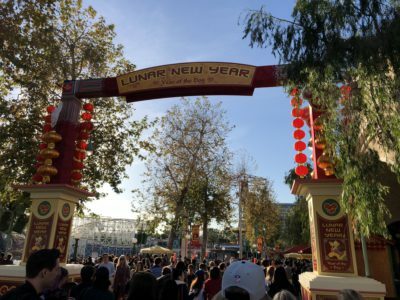 Also new for the 2018 Lunar New Year celebration are food kiosks and limited time menu offerings. To learn more about the food offerings, proceed to the next page.